Cougar XT — Only 1.5 metre in length, yet it can handle more heavy tooling than any other system of its size. To meet the Navy’s exacting operational requirements, Østensjø Rederi expanded and extended the technical specification for the complete system including the Cougar, the control room, and in particular, the Launch and Recovery System (LARS). The ability to safely launch the Cougar in sea states specified by the Royal New Zealand Navy was of paramount importance. This set a special focus on the LARS and its position inside the vessel, with the Cougar launched from a mezzanine deck inside the vessel’s ROV hangar. When evaluating the best system, Østensjø Rederi concluded that the Cougar with a modified dipping and extending LARS with snubber, heave compensation and electric winch motors, was the best solution. 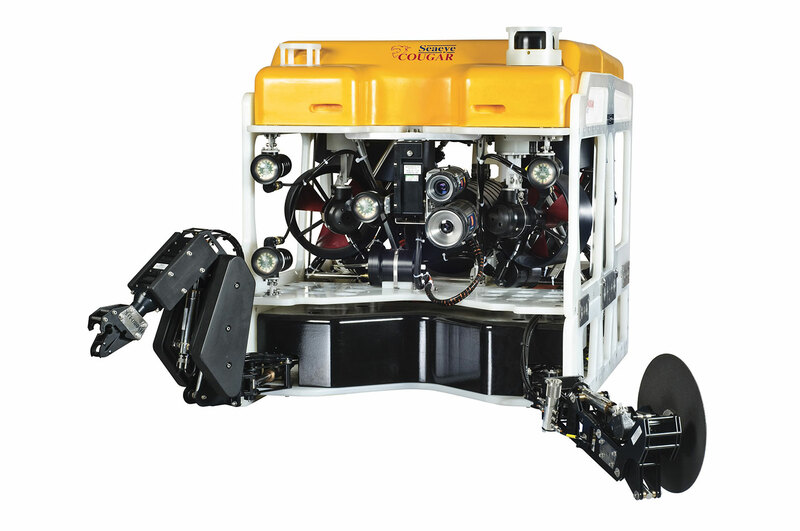 Along with the LARS, the complete system includes a standard Cougar XT with minor modification to include three cameras and sonar system, together with its tether management system and three individual tool skids with manipulators, cutters and water jetting system. Also specified is a control room integrated into the vessel created to a design centred on operator ergonomic principles. The 2000m rated Cougar XT’s maneuverability comes from its six thrusters, each interfaced with a fast-acting control system and solid-state gyro for enhanced azimuth stability and control. The Cougar’s compact 1.5 metre size footprint makes it easy to mobilise, yet despite its small size, it has the power to handle a wide range of heavy tooling. 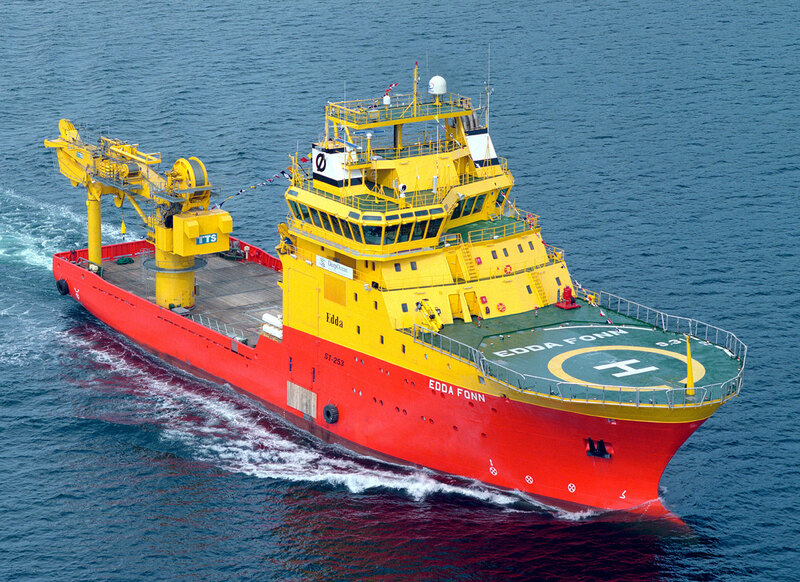 Østensjø Rederi AS builds offshore supply and construction vessels along with providing tug operation and services.